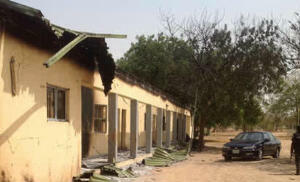 The All Progressives Congress, APC, has urged President Goodluck Jonathan to visit Yobe State to commiserate with the families of the victims of Monday night’s horrific attack on the Federal Government College in the state, in which over 40 students were reported to have been brutally murdered. The APC noted that it was the least the Federal Government can do to help soothe the pains of those involved. According to the party, the recent attack has presented the President the opportunity to visit Borno, which has been badly hit by unending deadly attacks from the terrorists. “A visit from Mr. President will be a morale booster for our troops in battle, and will also show the beleaguered people of the affected states that they have not been abandoned to their cruel fate by the federal government as well as their compatriots,” the party said. Condemning the attack in a statement, Wednesday, the party’s Interim National Publicity Secretary, Alhaji Lai Mohammed, said the the day was a sad day. He urged the government as all levels to adequately protect schools in the state. “What a sad day for Nigeria and indeed for all of humanity, when innocent school children were used as soft targets by a group of cowardly terrorists, who have shed their toga of humanity on the altar of a meaningless ideology. “We condole with the families of the victims as well as the government and people of Yobe State over this abominable crime. We urge the state and federal government to work together to ensure that schools in the state are adequately protected,” the statement said. FG to Set up Debate Academy for Primary/Secondary Students: What about Our Politicians? for crying out loud,can someday plz tell all this wicked cohorts in APC to shut up and allowed the president to concentrate,they shud stop playing politics with everything,Nigerians have grown weary of APC with their politic tactics of turning every issue even beyond his purview into a political opportunity.they shud go back and perform their primary functions of running their states and not this obsession with President.